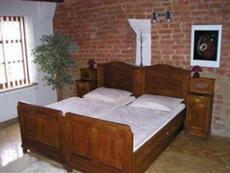 The Arigone is perfectly located for both business and leisure guests to Olomouc. The Arigone boasts a convenient location with modern amenities in every guestroom and superb service. Room amenities include internet access, television, shower, satellite/cable TV.This beautiful Olomouc accommodation provides bar/pub, laundry service/dry cleaning, meeting facilities, restaurant, car park to suit all guests' utmost convenience. These top-class facilities are complemented to excellent services to meet the needs of visitors to Olomouc. To make a reservation at the Arigone Olomouc with our secure online booking form, please choose your preffered period of stay.